Don’t you find it annoying when some parts of a movie are almost inaudible, while other sections are almost deafening? To even out the volume level of your entire video, you need to normalize the audio. 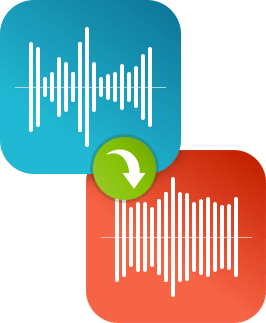 With Movavi Video Editor, you can easily normalize the volume in any video or audio file. To learn how to do it, just download the program for PC or Mac and let’s get started! Wait until the download is complete and run the installation file. Complete the setup process by following the on-screen guidelines. Launch the program and click Create project in full feature mode. Then click Add Media Files and choose the video or audio file you want to edit – it will be added to the Timeline automatically. Double-click the audio on the Audio Track to open the Tools window. Check the Normalize box as shown in the screen image. Doing this will even out the sound level for the whole audio track. Click the Export button. 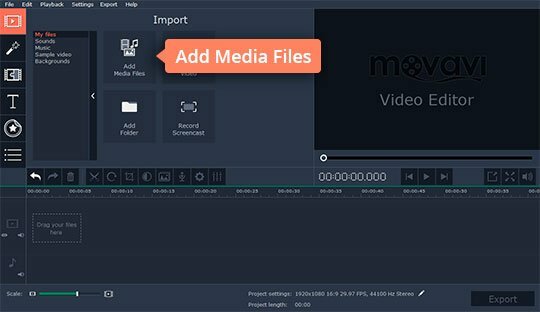 To save a video file, select the appropriate format in the Save Video File tab – you can choose from MP4, MOV, AVI, MKV, and many other formats. If you want to save an audio file, switch to the Save Audio File tab and pick the format you need (for example, MP3, WAV, AAC, or FLAC). Click Start to begin saving and transforming the file and complete the export process. 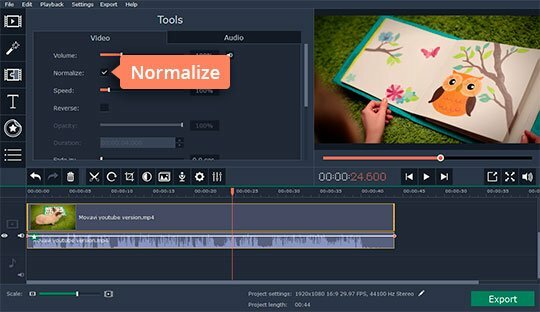 With Movavi Video Editor, you can do much more than just normalize MP3 volume level: cut and crop videos, apply special effects and filters, insert animated transitions and titles, overlay and edit background music, and much more! 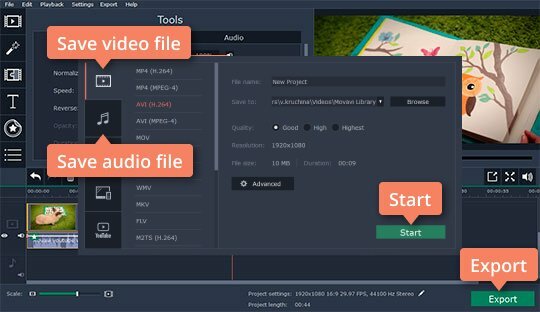 Creating videos has never been so easy! An intuitive photo editing app that lets you retouch any photo on the fly. Improve quality, add filters and captions, remove unwanted objects, change backgrounds, and more! An easy way to record from your screen in HD. Make video footage of any application, record online streaming video, webinars, even Skype calls, and save clips in all popular formats. The email address you entered is incorrect. Please check your e-mail address and try again. Your email address was successfully added. Thank you for your interest in Movavi! Copyright © 2019, Movavi Software Limited. All rights reserved.